Flat tyres remain the primary mechanical issue immobilising mountain bikers. 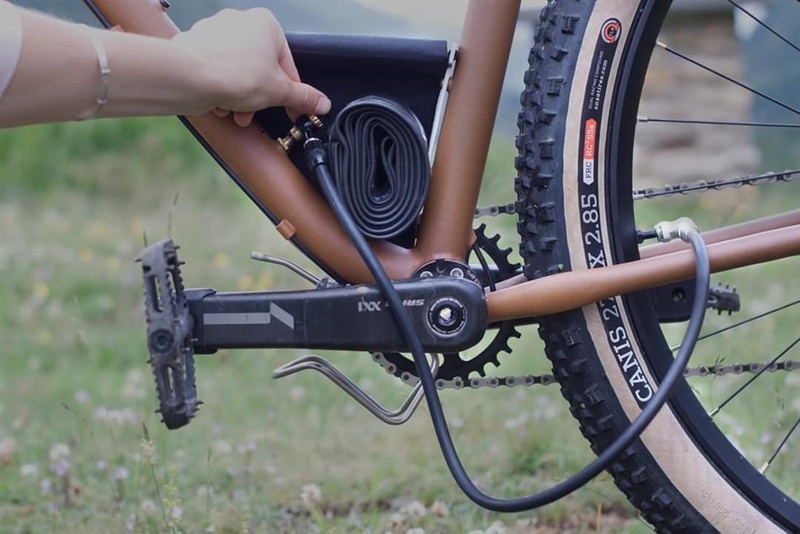 Mountain bike frame tubes are hollow – so why don’t we store handy stuff in them? Like air for tyres? Now there’s an experimental bike which can keep reinflating its own tyres. If you ever tried walking around an African farm or nature reserve without shoes as a child, you’ll know it isn't pleasant. Sharp-edged rocks and thorns are everywhere – and South African mountain bikers have learned that tyre theory which works in Europe and America doesn’t really apply here. 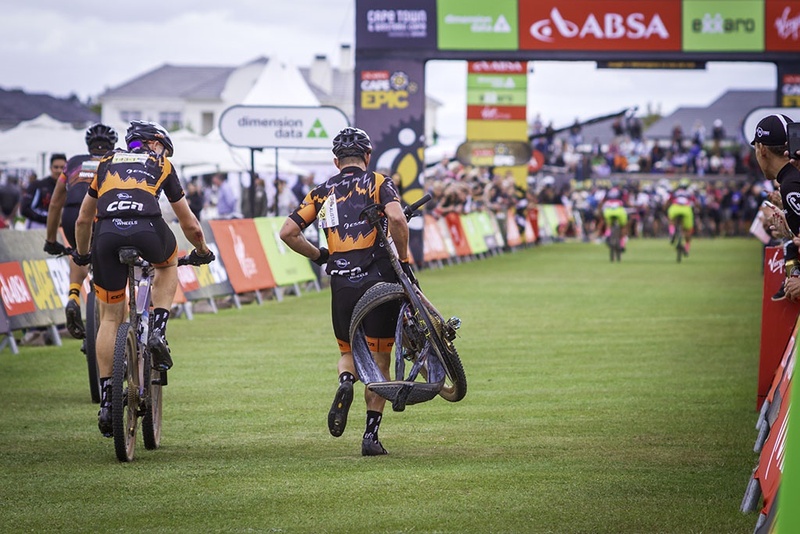 The Cape Epic has proven how unforgiving South African mountain-bike terrain can be, with punctures often scuttling ambitions of the fittest and most prepared riders. Even with 98% of the field now running tubeless tyres (featuring a latex-based sealant to counteract air loss during a puncture) there are still times when riders are stranded with a flat. The solution is to carry compressed CO2 with you, for reinflation. Most riders bring one or two CO2 cartridges along for a ride, and averaging around 70g, they are small enough not to become bothersome as a weight burden. But CO2 cartridges can be challenging to work with in extremely cold temperatures – often bonding to exposed fingers if you aren’t being sufficiently attentive to the task at hand. Capacity is an issue too. It’s impractical to carry half a dozen CO2 cartridges, and if your riding group happens upon an unfortunate littering of Acacia thorns, you’ll run out of the necessary gas to reinflate all those punctured tyres. Wouldn’t it be that much cleverer if there was compressed air onboard your bike? Stored in those hollow tubes which make up the frame? That’s exactly the idea French bicycle designer, Joel Dunkl, has struck upon. 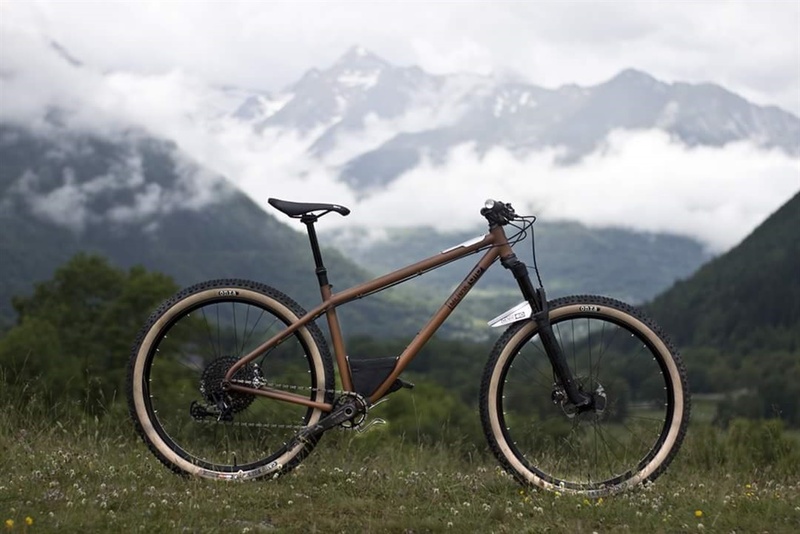 With the help of Menhir Cycles he’s built an experimental mountain bike which features an air-pressurised frame, capable of carrying up to 150-bar of pressure. 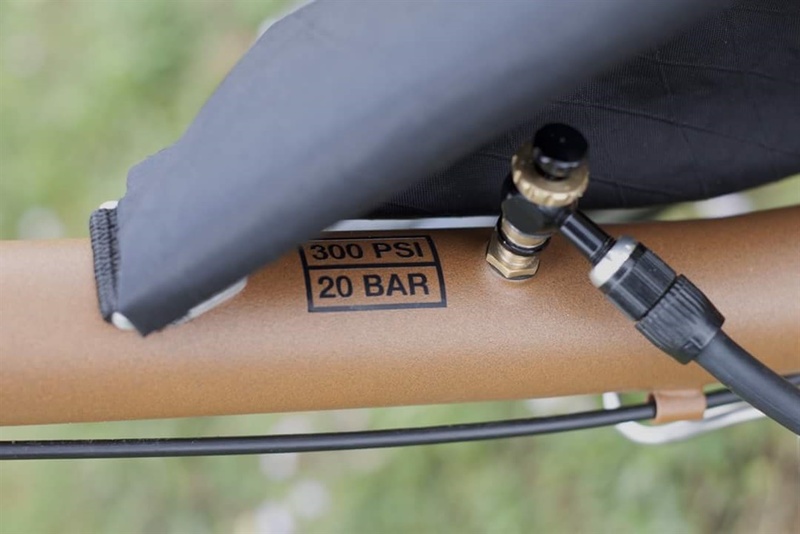 Dunkl’s recommended pressurisation is within a much safer tolerance, about 20 bar, which should enable you to inflate 5 mountain bike tyres from completely empty to correct riding pressure. Best of all, the system has a compact attachment nozzle, which you merely plug into a valve mounted on the frame, avoiding all that CO2 canister drama. 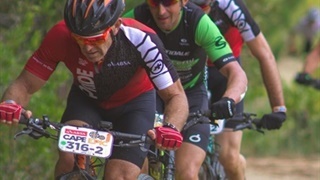 South African mountain bikers often tally 100km rides during peak training days. Over vacation periods it is not unusual to see riders orbiting on gravel roads between deeply isolated Karoo towns. 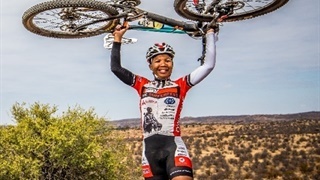 You really don’t want to get a double flat in the Moordenaars Karoo. Having the ability to reinflate tyres from a generous onboard air-stowage system enables adventure riding confidence and improves safety. 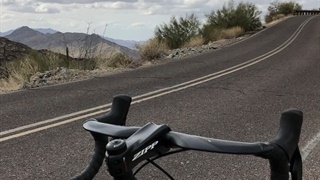 For professional mountain bike touring guides, or those individuals who act in the role of sweepers and field mechanics at the local stage races, having the ability to carry a plentiful volume compressed air, is certainly an innovation worth championing and undoubtedly superior to the admin of a dozen chiming CO2 cartridges in your backpack. Receive a single WhatsApp every morning with all our latest news: Sign up here.